IKEA hacks are pretty easy, I mean the store sells all of their products in pieces allowing for ultimate hacking opportunities. 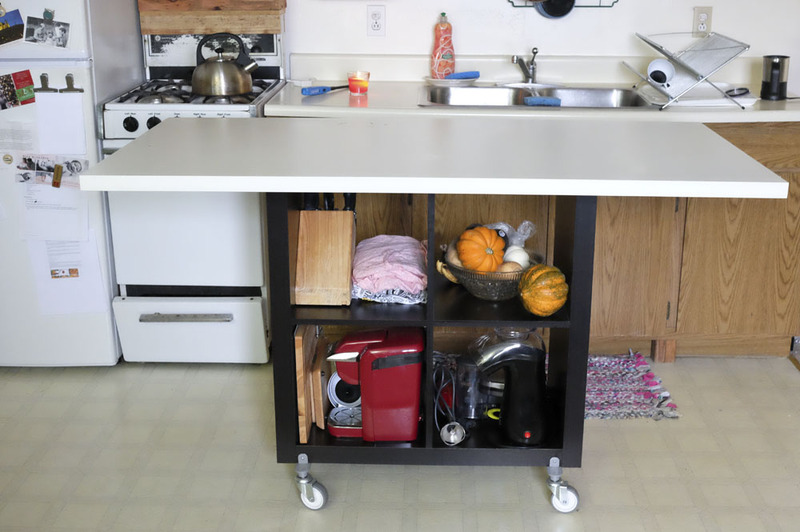 When we moved into our little apartment we quickly realized we had absolutely no kitchen space. Our living room and kitchen are an all-in-one room. This room is our office, living room and kitchen. 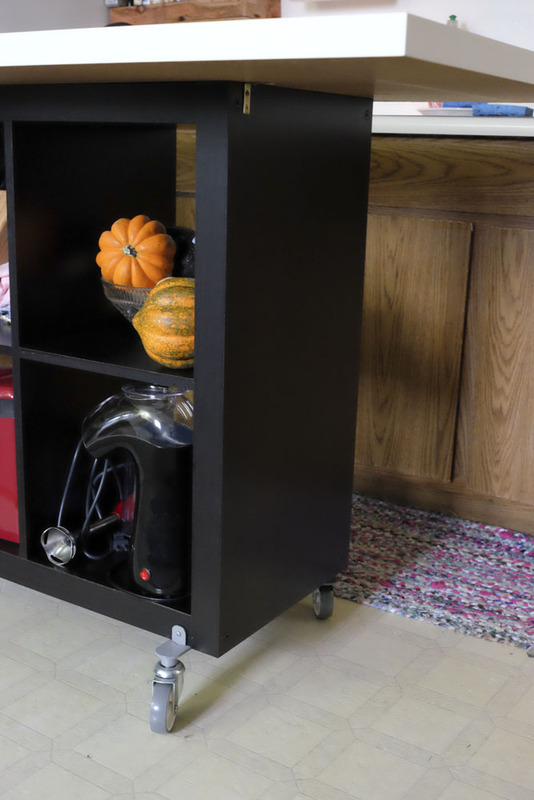 With so little cabinet space to store things and no counter space we had to come up with something to add to our space. 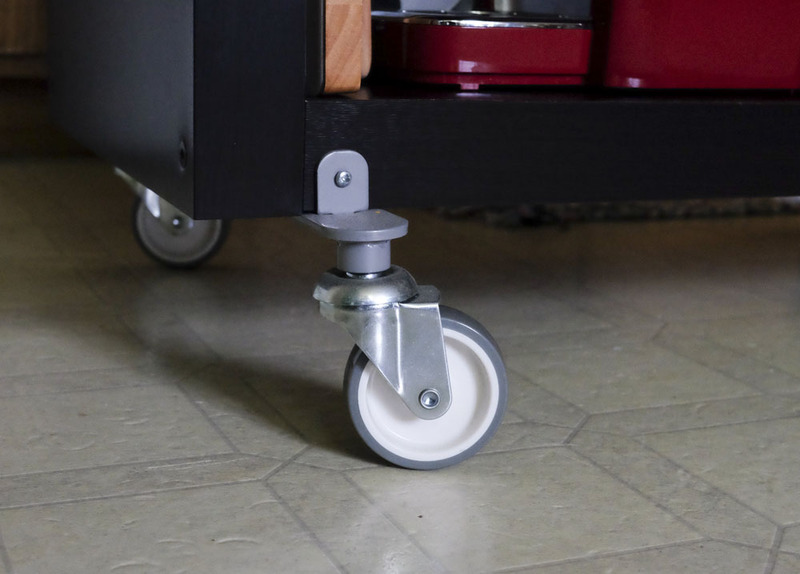 We used a shelf unit, counter top and a set of wheels from IKEA. 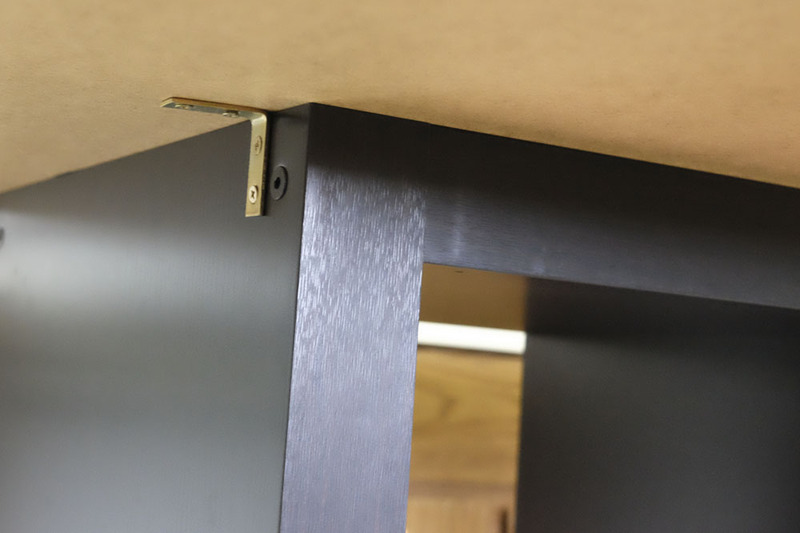 The table top was connected with some L brackets from the hardware store so the top can easily be removed when moving in/out.